With the launch of the public beta of its cloud cost-tracking service, Cloudability is making APIs available to let customers access their own billing and usage information from popular cloud providers including Salesforce.com (s CRM), Microsoft Azure (s MSFT), Amazon Web Services (s AMZN), Rackspace (s RAX), Google (s GOOG) and Heroku (s CRM). The service, which aims to help companies track and monitor what their users pay for multiple cloud services, could help ease “cloud sprawl.” That’s what happens when individual users sign up for services using their credit cards and expense them. There is little corporate control, and getting a better handle on who’s using what services could help the company better plan its budget or even negotiate for volume deals if the demand is high. Cloudability, once dubbed “the Mint.com for companies,” wants to help business customers get a handle on all of that. Starting Wednesday, Cloudability, a member of the AWS developers program, will let beta customers use JSON or XML API, through which they can access their cloud billing and usage data from major providers. From there, that data can be funneled into Excel spreadsheets or whatever other software the company would like to use. Cloudability offers an easy-to-use click-through menu for users to enter the type of services and the providers they use. “Once they hit save, we aggregate all that data in one place and they can then drill down on detailed reports, set up alerts if spending goes over X amount, and daily emails that tells them where they are,” said J.R. Storment, the chief customer officer of the Portland, Ore.–based company. “We think customers would like to start tracking spending from Rackspace, Google Apps, even down to the GoDaddy level,” said Storment. The service, which has been in closed beta, already tracks more than $7 million in cloud spending with more than 81 cloud providers and has helped customers save an average of $2,000 per customer per month. 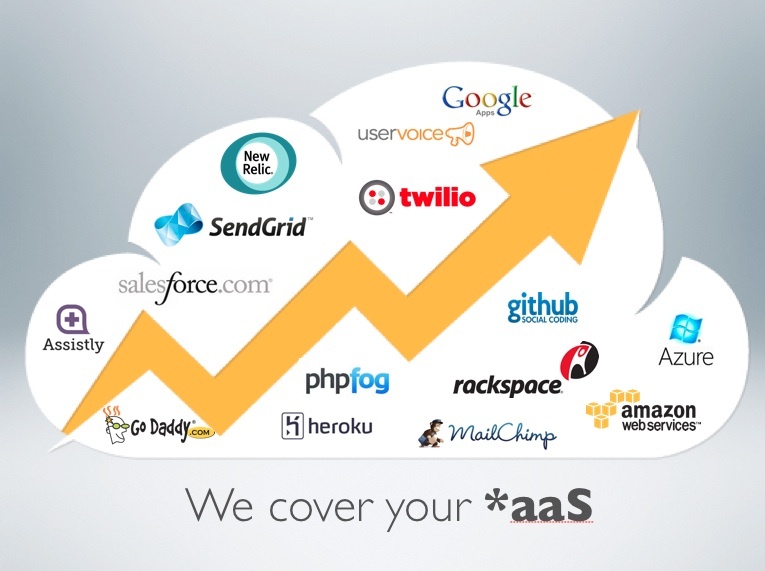 The service is free for up to $100,000 in annual spending, said Cloudability CEO Mat Ellis. To help get people to enter their usage information, Cloudability has an interesting recruitment technique. “If you refer friends to the service, it’s free and if you refer a paying customer, we’ll ship you free beer,” Ellis said. That could help get rank-and-file workers aboard, and their data will percolate up to CIOs and management. The collected data would be worth more than the services rendered. The axiom “If the service is free, you are the product” holds true. This is a clever way to aggregate data on *aaS usage. It does offer something in return, which is nice.